Posted in Defensive Driving Blog | Comments Off on Starry, Starry Night. 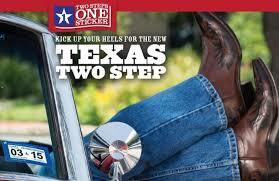 Looking for something different to do this summer in Texas? We got just the thing, especially if you love the outdoors and star gazing. It is a little known fact that there are three state parks in Texas that are designated as Certified International Dark Sky Parks. You are probably asking “what the heck is that” and we’ll tell you. 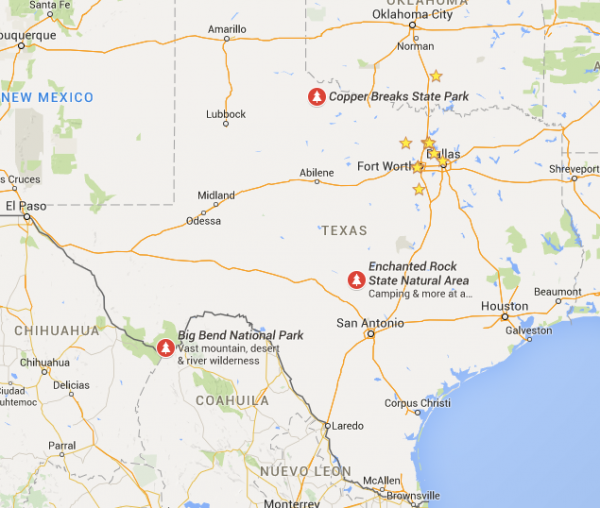 Big Bend State Park is located in Southwest Texas along the Mexican border and became a Dark Sky Park in 2012. Enchanted Rock State Park is located just 18 miles north of Fredericksburg in Central Texas. It was designated in 2014, along with Copper Breaks State Park, 13 miles south of Quanah, Texas, in the Panhandle Plains. Copper Breaks park director, David Turner, hosts star walks throughout the year. Turner says, “The Park replaced many of its outdoor lights with more efficient, low light fixtures and retrofitted others to keep light from emanating upward, helping keep night skies darker and lowering energy bills”. 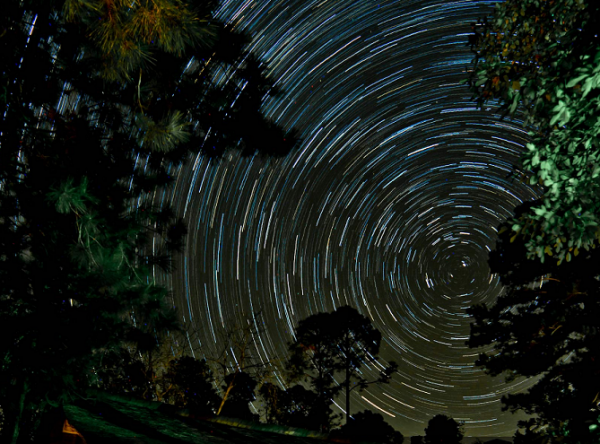 For stargazing, these locations can’t be beat. So if hitting the road and seeking the very best locations for gazing above is on your list of things to do this summer, check out the locations above and get going. When taking any trip be sure to make sure your car is in good working condition and you have a usable spare tire on board. Taking the time to plan ahead can insure a safe and fun trip for all involved. And if you need any information about defensive driving log into WirelessDefensiveDriving.com. Hot gift in 2015 may help a defensive driver record others’ unsafe driving (or provide evidence in case of an accident). Ignition on – camera on. 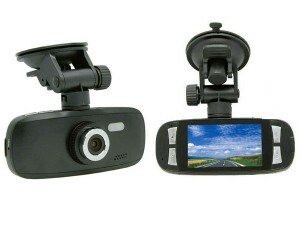 These are dashcams that will automatically turn on when the car starts. No need to remember to start or stop the camera. Auto screen off. A serious feature to prevent driver’s distraction. 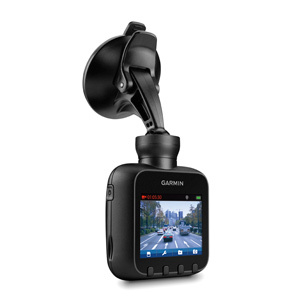 The last thing the owner of the dashcam needs is to cause an accident because the screen took the driver’s eyes off the road. 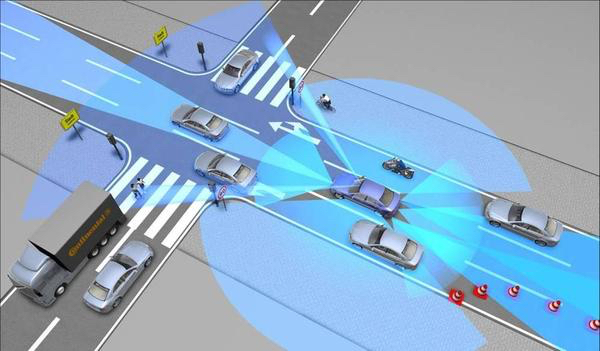 G-sensor to detect if the car is involved in an accident. Some cameras will sense the G forces and automatically bookmark the video for faster search at a later time. 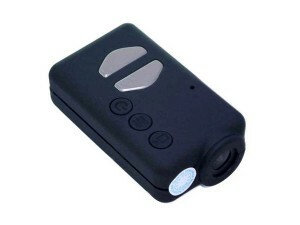 A few of the dashcams work off batteries instead of power cables. This could be seen as an negative unless you need to record something by taking the camera outside the vehicle. You may witness a moment of defensive driving skills while on the road or maybe a funny situation in a parking lot. Share it with us and we will in turn share it for the rest of public. Nothing teaches a lesson like a real, original video. Halloween, Kids and Defensive Driving. Posted in Defensive Driving Blog | Comments Off on Halloween, Kids and Defensive Driving. 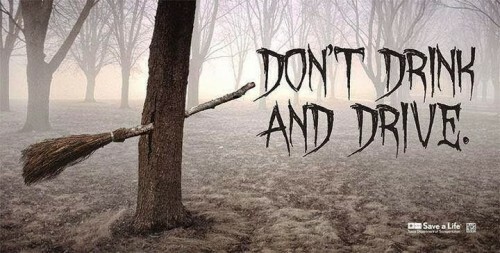 Halloween night is a particularly difficult night in regards to defensive driving and driving safety in general. This is one night of the year when the streets are busiest with kids walking around the neighborhood in the dark, most times wearing costumes not designed with car safety in mind (think of a Ninja costume). Dusk is already a bad time of the day for drivers’ visibility anyway, add to that an excited, distracted kid and you have a very high risk scenario. 1. Drive with a particularly defensive driving attitude. 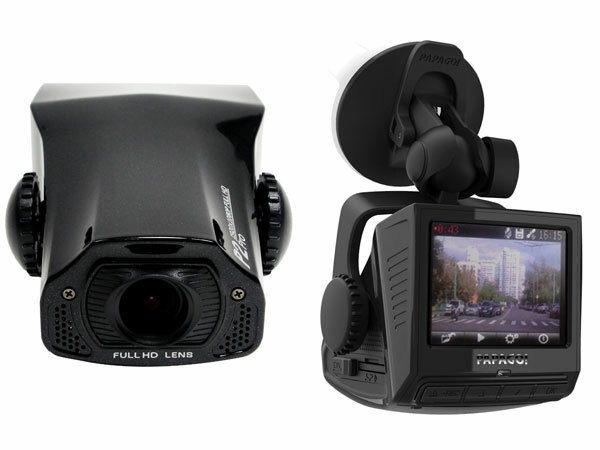 Scan the road consistently from one side of the street to the other. Pay particular attention to sidewalks, intersections with poor lighting and streets with cars parked next to the curb. Watch for kids darting across the street. 2. As for anytime behind the wheel, turn the phone off. Especially while driving around an increased number of pedestrians. Do not take your eyes off the road for any reason. 3. Slow down. Think of the neighborhood streets as if you are driving through a School Zone. In fact there are more and younger kids walking around the street Halloween’s night that in a normal School Zone time. Most residential streets have a speed limit of 20 mph, we suggest 15 mph. A driver reaction time is no match for a kid darting across the road. 4. Be extra vigilant approaching parked vehicles and when backing out of driveways. Some of the kids are young and small enough not to be visible in the rear view mirrors. 5. Parents – Brighten the kids up! Give them flashlights, led lights and anything that can make them more visible. Consider a refresher in street safety and how not to cross the road. Make your young Frankenstein or Cinderella more visible using reflective tape… their costumes will still be cool. We wish all a safe Halloween night. Please share this post! There are many ways your tires can affect your driving but today let’s talk about road surfaces. The material and condition of road surfaces can greatly affect the wear and tear on tires. We are not talking about the most common reasons for tires to wear out – improper tire rotation, air pressure and wheel alignment, but a less obvious cause – the material that comprises the road surface. At TireRack.com they compare the road’s surface to sandpaper. Some roads or more coarse than others due to age or materials used that are common to the area, such as crushed sea shells that are often embedded in the surface in coastal areas. This can cause undue stress on your tires treads but if the surface is severely grooved or uneven it can affect how your car tracks. This is called tramlining but should not be confused with tire pull, which is most likely related to the vehicle and not the road. 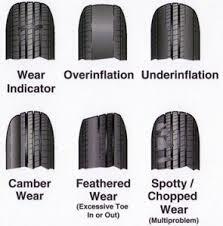 *A worn tire (tires become more responsive as their tread depth wears away making them tramline). *Tires inflated over the recommended amount stiffen the tire and add to tramlining. Other things also affect tramlining. Suspension bushings, ball joints and shock absorber mounts can have a direct influence. As these parts age the wear and tear permit play in the wheel that allows the tire to be misdirected easily into the irregularities of the road. What can be done to minimize tramlining? 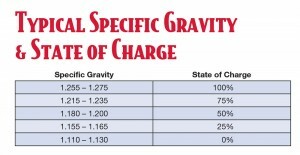 Changing tires based on the information above can help, especially keeping the tire pressure at the level suggested by the vehicle manufacturer. 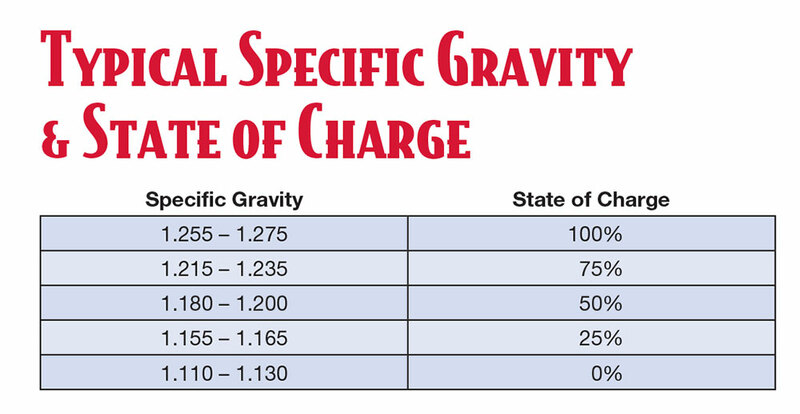 Alignment settings also are important and as a general rule your tires should be aligned with negative camber and toe settings within the factory’s specifications. The roads you choose can also have an effect on tramlining. On a multi-lane highway the left lane offers the smoothest road surface because it sees the least amount of heavy truck traffic. It goes to follow that the right hand lane can be the roughest. 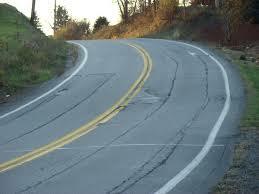 If you find yourself on a road that is causing a lot of tramlining just be sure to keep your hands firmly on the wheel. This will help you control the course of your vehicle and leave little room for meandering. For all your defensive driving needs be sure to log into WirelessDefensiveDriving.com. 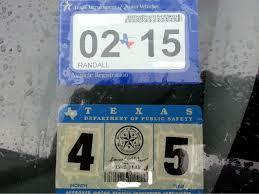 How long has it been since you first received your license? 30, 40, 50 years or more? There have been many changes in cars and in driving rules over the years and for most of us we got our license and never looked back. A review of the rules of the road can not only bring you up to date on new safety rules but can save you money on your insurance. A lot of insurance companies will give you a 10% discount on your auto insurance for up to 3 years for taking an approved defensive driving course. Taking the course for an insurance discount does NOT disqualify you from taking it again for ticket dismissal. As we age we experience many changes in eyesight (your vision is your most important tool for driving. About 90% of what a driver identifies in a driving environment is through their sense of vision), hearing and reaction time. Your reaction time is the time from when you first identify a hazard to the time it takes you to react to the hazard. 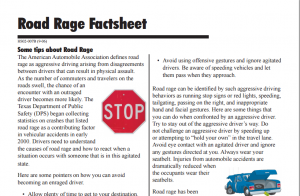 Reviewing defensive driving rules and techniques is a good way to learn to manage these age-related issues. The course can teach you how to handle blind spots, maintain a safe following distance behind a car, how to change lanes safely and how medications can affect your driving skills. In addition you can get updates on auto technology, air bags, seat belts and anti-lock brakes as well as how to minimize distractions such as using a cellphone, eating or smoking. Avoiding injury to yourself in your older years should be a key goal and updating yourself on the rules of the road and learning all the safety precautions can help you stay safe behind the wheel. Our online course, Wirelessdefensivedriving.com, is an easy, simple and affordable way to refresh you knowledge of defensive driving. Our course is mostly audio and can be downloaded to any device. Our customer service is exceptional so do not hesitate to ask us for help. 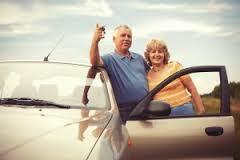 Wirelessdefensivedriving.com is here to help you stay safe on the road, no matter what age. Is Automatic Braking in Automobiles Inevitable? Posted in Defensive Driving Blog | Comments Off on Is Automatic Braking in Automobiles Inevitable? What if you could have a system in your car that is always alert, never tired or distracted, watching the road for you? Sounds ideal and could become a standard feature for cars in the future… at least for 9 automakers who have announced they will make automatic braking a standard feature for all of their makes and models across the board. Some might say that this move is just to make cars more expensive in general, since this feature is now optional on most automobiles. But this move is in conjunction with the National Highway Traffic Safety Administration (NHTSA) and the Insurance Institute for Highway Safety (IIHS), who will help them work out an agreement that involves the timeline for these changes. The automakers involved are Audi, BMW, General Motors, Mazda, Mercedes-Benz, Tesla, Toyota, Volkswagen and Volvo. It is expected that other automotive manufacturers will also get on board once there is pressure to comply. So how does this system work? 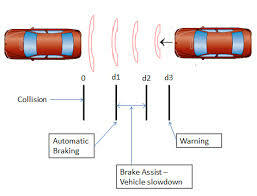 Automatic or mitigated braking systems use laser sensors and cameras to detect imminent obstacles and instructs the braking system in order to prevent a crash. The system calculates speed and distance of a perceived obstacle and alerts the driver to the need for a new course of action. The system will give some sort of audio or visual warning, with some automatically slowing down or beginning to brake. If the driver fails to respond to the obstacle, the system will bring the car to a halt. Keeping you up to date on new innovations in driver safety, WirelessDefensiveDriving.com is the place to go for all your defensive driving information.